January can feel like a long, grey month - the glitz & glamour of Christmas fast becoming a distant memory. As soon as we returned from our Christmas break, our first priority was to add a touch of New Year style to our studio in Chelsea Harbour. 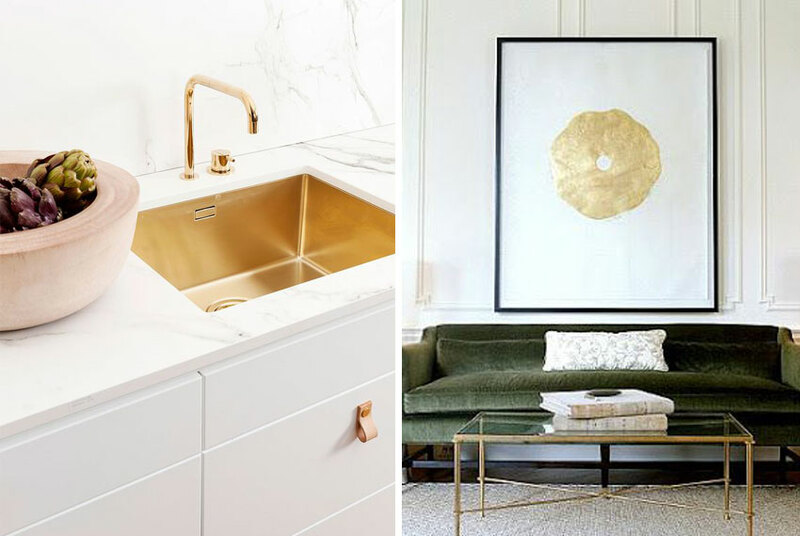 This got us thinking about some of our favourite looks and we wanted to share some of those magical ingredients that create a truly glamorous interior. Don’t worry - gold doesn’t have to look tacky and traditional! Used cleverly, and mixed in with contemporary pieces, it can be the perfect finishing touch to a classy room. We love this simple piece of modern artwork above the sofa giving an eye-catching addition of gold leaf. The scale of this piece and simple black frame keeps things looking modern and up to the moment. A grouping of accessories is another easy and cost-effective way to add a splash of glamour to a dull corner. Think of it like adding a gorgeous pair of earrings to a simple tailored dress to create a party outfit. Good interior accessories are a designer’s secret to adding a little something extra special to your home quickly and without spending a fortune. Our glamorous palette of choice at the moment include rich colours such as peacock blue, deep cranberry, emerald green and, of course, white on white - the ultimate luxurious choice. 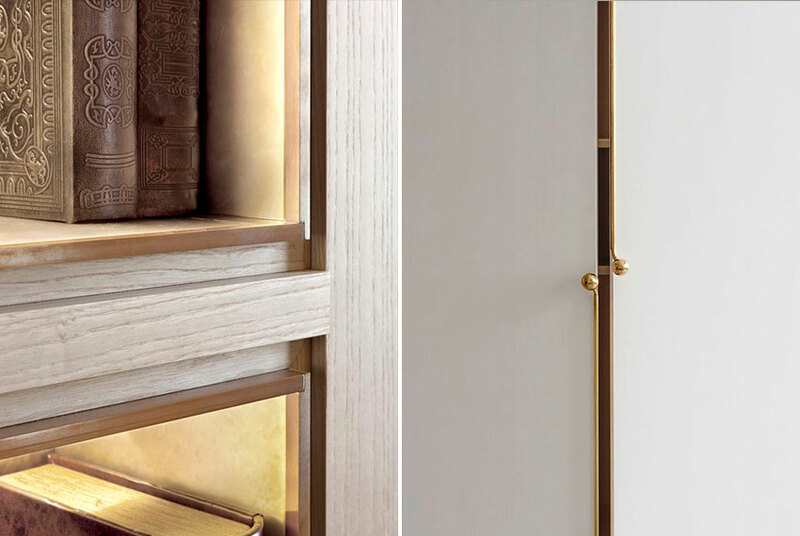 When our clients have a healthy budget and are wanting to create a really special look for their homes we love to design bespoke joinery for them and add in metallic details. Even the addition of a gold or bronze handle can turn a plain cupboard into something truly eye-catching. The contrast of dark timber with lighter finishes is super glamorous. It works especially well in large-scale by framing a view from one space leading to another. It also can work well in small-scale when choosing finishes like this bespoke staircase. One of our favourite images is this gorgeous upholstered wall behind the master bedroom from a project we designed in Sandbanks. The client's brief was to create glamour on a budget and they were delighted with the idea of upholstering a whole wall to create a truly sumptuous space. 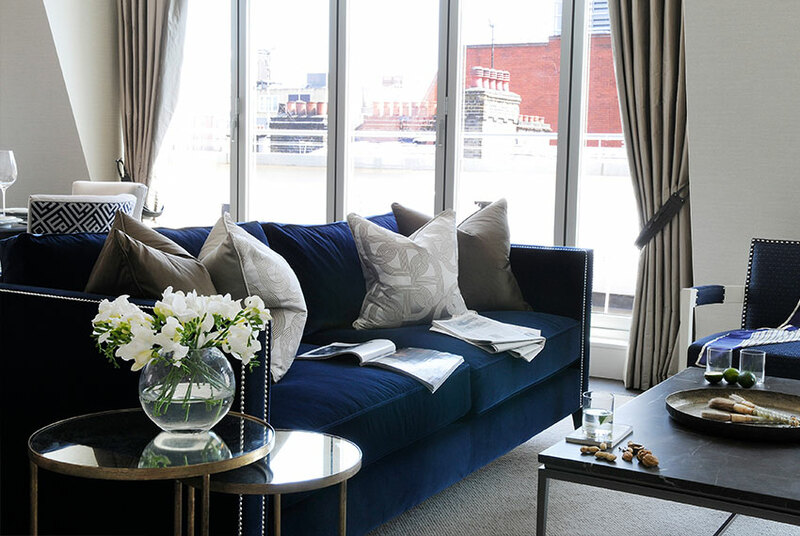 Glamorous fabrics such as velvets and silks are the best choices if you are looking for that five-star hotel feel in your home but bear in mind they do add to the budget and a little velvet stool or a couple of silk cushion can do the job just as well. 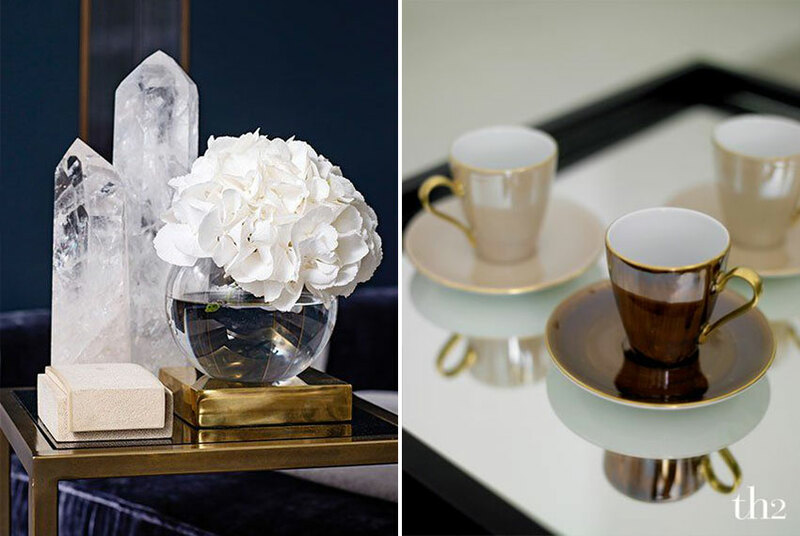 So banish those January blues and try adding a dash of glamour to your home to see you into Spring!